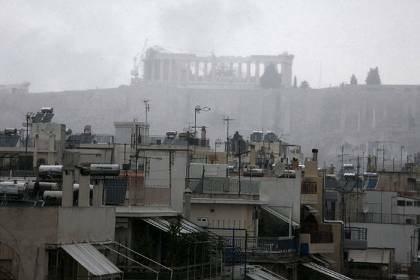 It looks like the bad weather all over Europe has reached Greece. 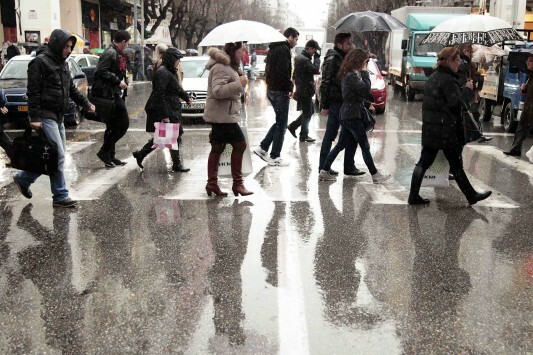 Heavy rains and thunderstorms in Athens yesterday and snowfalsl in Northern Greece and mountainous areas more to the south today together with a sharp drop in temperature signals the arrival of winter in our part of the world. Due to the crisis and austerity measures there is great concern for the homeless in the large cities. People who cannot afford the price of heating oil or natural gas burn anything they can get their hands on in order to warm up their homes. The result is heavy and asphyxiating smog in Athens and its suburbs. Reports from Cephalonia or Kephalonia- as pronounced in Greek- mention damages in the power grid and problems in the water supply after today’s earthquake. People who live in old buildings have been advised not to return to their homes. There are still after-shakes and the schools will remain closed tomorrow Monday. Belated Christmas and New Year thoughts …. This Christmas is the second one I am spending away from home. In our times people travel a lot, either for business or pleasure, either by choice or due to need. My trip had traces of all the above. Bucharest Romania is one hour and 20 minutes away. I arrived before realising I had left Athens. I stayed with a Greek family (both our hosts’parents were born in Egypt and our hosts have lived and studied in South Africa) and spent Christmas with a mixture of Greek and Romanian friends. What is impressive is that this multi culti company carries its traditions with it while traveling, intermarrying, changing continents, etc. Food is the perfect example to understand how this occurs. The first restaurant we visited was Sudanese with Egyptian influences and we had (or some of us had) molohia soup, a typical Egyptian dish, unknown to those who have never lived in Egypt. Those of us hailing from Egypt enjoyed it while the rest of the company hated it! For New Year’s eve I had the opportunity to try xerotygana! Dusted with sugar this snowy, puffy sweet is irresistible! Mix flour, water and one egg until you have a thin gruel. In a deep pan heat oil until a drop of gruel starts frying when you drop it in the pan. Then you attach the star -shaped form to the handle on the right and dip it first in the flour gruel and then into the frying pan. You keep it into the very hot oil for a couple of minutes and gently remove it from the mould with a fork. The xerotigana tool is the original inherited by the mother of our hostess from her mother and to be bestowed to the daughter who now lives abroad married to a Scott!! 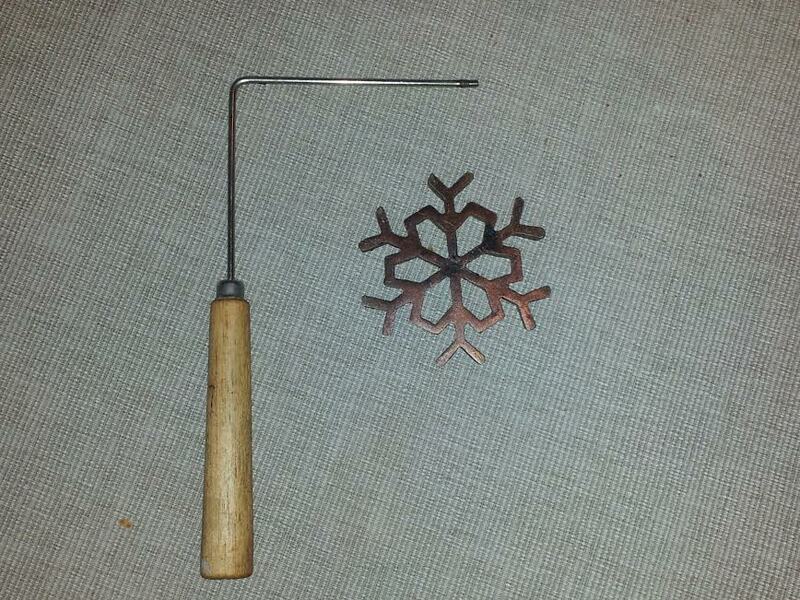 Globalisation at its best with traditions and roots carried along! Fridays are special all over the world. The last day of the week means the weekend is round the corner and we can somehow relax. In Greece Fridays are fasting days, very often they are “popular” market days (open air vegetable and various other foodstuff markets operated by farmers and not only…)and almost invariably hairdressers ‘day. I have come to like hairdressers. It is the one place in Athens where I hear nothing about the crisis, the economic problems, the loss of jobs, the accusations against all politicians. There seems to be a tacit agreement that on Fridays we only discuss food and especially fasting dishes. Today’s favourite is lentils. I am very lucky because my neighbourhood ( maybe others too) has many repatriated Greeks from Turkey, from Egypt, from Germany, from Britain and the former USSR. Therefore my Friday recipes are most interesting since, unable to choose, I often just mix and match!. Lentil soup is the most popular. You clean and rinse the lentils, cover them with water and let boil. In the water you add an onion cut in half, a peeled, whole garlic clove and a bay leaf. When the water starts boiling add salt and tomato sauce to taste. Many people also add a small chili pepper or thyme or rosemary but that depends on what herbs you like. 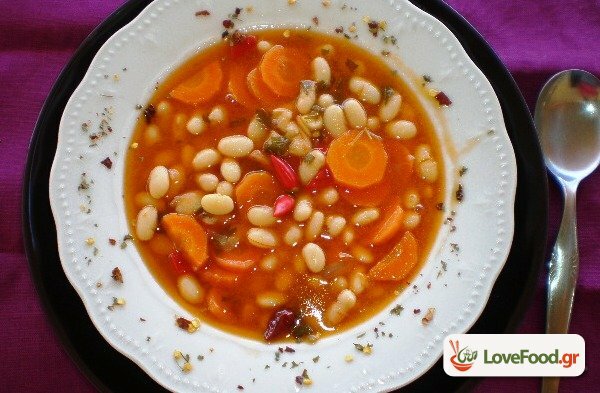 Recent articles on healthy eating suggest that we combine all pulses with some form of pasta or rice. I was not impressed since my Cypriot grandmother always cooked Koshari: well boiled, drained lentils, rice and caramelized onions on top: a full, healthy meal usually accompanied with olives. A long time ago one of the most “serious” ( I don’t think he would like the title) contemporary Greek writers wrote a hilarious novel tearing to pieces a large number of “sacred cows”. When asked how come he wrote something like this he answered that he felt “Greek society needed a spoonful of sugar” at that particular moment. 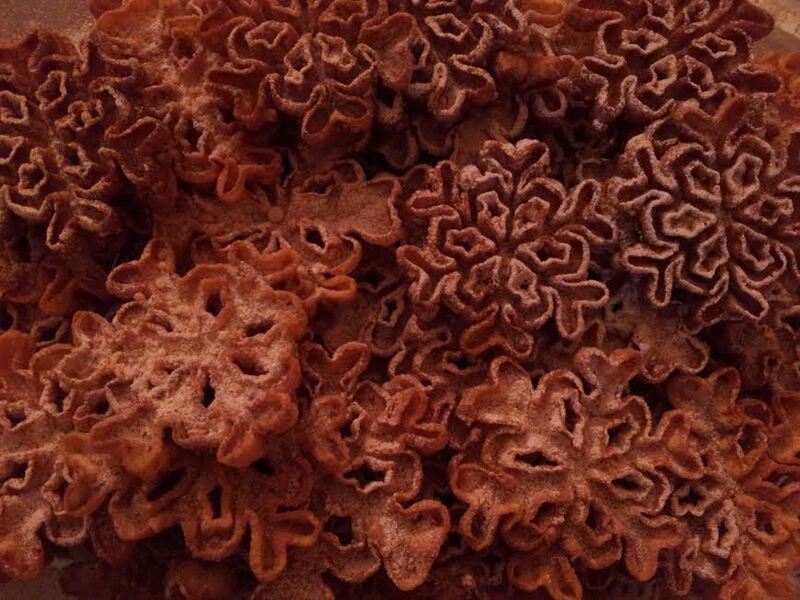 I do not pretend to know what Greek society needs but I find myself thinking of sweets, traditional Greek Christmas sweets, more and more every day. Mr Papadimos asks for more money I go for a kourabie, the electricity company demands that we pay the estate tax (!) through our bill and I go for two and so on. “Melomakarona means “honeyed makarona”. At first I thought that its name came from “honey =meli” and “makarona= macaroons”. After some research I found the following explanation in a blog ((http://blogs.sch.gr/tsilivar/): the “honey coated sweet” has taken the second part of its name from the ancient Greek word “makaronia” which refers to a small baked bread distributed at funerals!! This practice comes to reinforce my previous arguments for the necessity of sweets in difficult times.. The word “makaritis” is still used in Modern Greek and means the “deceased”. Mix the liquid ingredients with the sugar, add the flour, baking powder and soda gradually until your mixture is soft but does not stick to your fingers. Give your melomakarona any shape you like and bake in a preheated oven until they look golden but are still soft. Prepare your syrup while the sweets are baking. When they are ready let them stand for a while until they are in room temperature and then plunge them in the syrup pot which must not be boiling either. Let them stay in the syrup for a couple of minutes. When a toothpick can go through them easily remove from the pot and sprinkle with grounded walnuts. I make them the year round due to their low cholesterol level as well. In youtube there are very detailed videos about their cooking. I have been trying to write something about Greece that will not be related to the crisis. It is not easy, I must admit. On the other hand, when I cannot solve a riddle I turn to something else, occupy my mind for a while and when I return to the riddle it seems to solve itself. I want to tell you what coffee means to Greek society. It often baffled me when people trying to compare prices with other European countries referred to the price of coffee!! Not milk or bread, much more substantial, but coffee!! The answer was staring me in the face: we consume as much coffee as bread and much more than milk. Coffe is synonymous to leisure and friends, to chatting in the sun in open air cafes, to solving personal, local or universal problems. Drinking coffee in Greece is very expensive, complain my friends from abroad. I try to explain to them that the café owner charges not just the coffee but also the time you occupy his table. An Italian who drinks his espresso in one gulp and rushes out cannot be charged as much as a Greek who will spend one or even two hours over his coffee, with his friends joining him and the shop owner often providing some treat in addition. I suspected this all Greek weakness some years ago when I read Ilias Petropoulos book on Greek coffee. He presented more than 50 ways to produce this thick, aromatic beverage shared by all the countries previously belonging to the Ottoman Empire. The one recipe that struck me most is the one of monks in Mount Athos which is laced with ouzo!!! Is it just the mild climate and the sun that shines nine months a year? Is it an inborn need to communicate with other people? Probably a combination of those two and many more that lead to cafes being packed every day of the year. I was shocked the first time I saw my gran smoke. 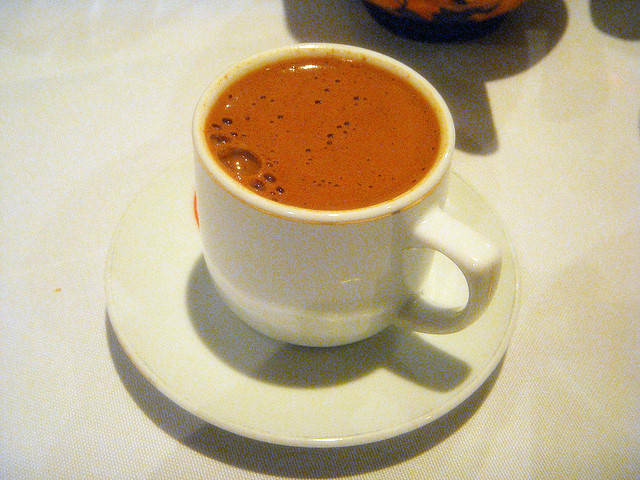 “Greek coffee without a cigarette is like a church without a priest”, she told me with a twinkle in her eye. She would have suffered today but in her time coffee drinking for women was limited to their homes and possibly their yards so she would have enjoyed her innocent, therapeutic chat just the same. The Greek coffee scene has been invaded by various western type coffees like cafe frape, capuccino, espresso, capuccino fredo and so on but the idea behind it remains the same: coffee is an excuse to relax, meet friends, mix with strangers, chat and enjoy social life. It is worth paying that little bit extra just for that.